When a friend you care about is grieving, it’s often difficult to know what to do or say — especially if you haven’t experienced similar grief. Your general discomfort is very human; we all feel some need to help but are unsure of the words or actions that will be most helpful. We’ve created some guidelines to help you navigate these unknown waters, and hope this information provides the insights needed to help both you and the person you hope to support. Thinking about what to say and what not to say can often be a stumbling block to saying anything — and that resulting silence can be extremely painful to the person who is grieving. As hard as it may be to overcome your initial discomfort, acknowledging your friend’s loss is critical to their healing process. The support of family and friends is a key determinant in how long and how painful the grieving process may be, as well as how someone heals and recovers over time. You can be an important part of this recovery process. Don’t: “I know how you feel” or “I know what you’re going through. My dog died and I…” Saying either of these devalues the bereaved person’s feelings (especially when the loss of a person is being compared to the loss of a pet, no matter how dear). Early on, mourners don’t want to hear about others ’experience with grief — they need to be able to express their own. Do: “I can only begin to imagine what you’re going through” or even “I don’t know what to say, but I’m here” These statements show that you’re focused on your friend, and are open to talking to them about their grief. You can ask what it’s like for them and then listen — don’t try to fix it. 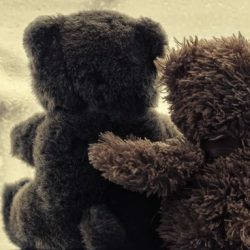 Silence is also fine; just being with someone as they grieve, holding their hand, touching their shoulder or just giving them a hug can help with the healing process. Don’t: “You’re not grieving right” or “Shouldn’t you be doing. . .?” There is no right way to grieve. And no one should be judged for how they’re grieving; they may be angry, they may be sad, they may appear to be stoic…you can’t know what is going on inside, and can’t know their pain or inner thoughts. Do: “Are there times of day that are harder or easier for you?” or “What are some of the things that bring you comfort?” Again, these questions show that you’re focused on your friend, and are open to talking to them about what they’re experiencing. Whether or not they are ready to speak about how they’re feeling, your openness and willingness to listen are helpful. Don’t: Avoid talking about the person who died. If you avoid mentioning the person they’ve lost, the griever will feel even more alone in their grief. Do: Mention the lost person by name and share any memories you have of them Sharing your memories or mentioning their name will help your friend focus on their loved one’s life instead of their death, even though it may bring up feelings of grief as well. If the person’s death happened in the past, it’s still okay to bring up their name. If a key milestone (birthday, anniversary, anniversary of their death, holiday) is approaching, the remembrance of the person who died will also bring your friend comfort. Many people question what type of acknowledgment might be most appropriate, and the answer is “any.” When someone is grieving, a card or note, flowers or a small gift show that someone else is thinking of them and the person they’ve lost. and offering support. That action is more important than the color of the flowers or the image on the card; the message to convey is that your friend is not alone and you’re willing to help buoy them up as they work through their grief. You can learn more about specific traditions by religion and culture in our traditions section. Cards: It’s appropriate to send cards anytime, including before and after the service, on the anniversary of the death, or even in the months in between. Initially, many families or individuals may be focused on the memorial service or making necessary arrangements. After, they feel even more alone, still deep in their grief, when others who weren’t as close to the deceased may have moved on. A card with even a brief note of sympathy can be very helpful and appreciated during that time. Flowers: Flowers are the traditional means of expressing sympathy in some cultures or religions. They can be sent to the service or to the home of the bereaved. Either is equally welcome, and flowers can be sent to a home either before or after any service. To learn more about which religions or cultures welcome flowers, please read the Traditions section. Virtual Memorial Candles: Lighting a candle has traditionally been a symbolic way to honor someone’s life and mourn their death. For the religious, a memorial candle can represent a prayer. For others, it is simply a way to show that someone’s spirit lives on in the hearts they leave behind. At HealGrief, you light a virtual memorial candle and share it with others, letting them know their loved one is not forgotten. Visit our memorial candle gallery and light a virtual memorial candle now. Food: It has been a long tradition to bring food to a grieving family as a sympathy gift. Food makes us feel comforted. But especially at a time of loss and sorrow, it’s so much more. After someone dies, the bereaved family doesn’t always have time to plan meals. You can bring food or have food delivered and if your out of state, we offer SympathyFood.com as a resource. Gifts: For some, a gift can provide an ongoing reminder of support as well as of the deceased. Some things to consider: a tree or plant that will last through the seasons, wind chimes, a keepsake box, a stone or statue for the garden that is clearly tied to the deceased in theme or inscription, or a framed photo of a happy event that includes the deceased. Donations: It’s become more common for families to request a donation in lieu of flowers, often to a charity or organization that was closely related to the deceased’s interests or to their care (hospice, for instance). It’s still appropriate to send a card, and you can acknowledge that you made a donation to memorialize the deceased. Just as with a one-on-one conversation, it’s hard to know what to write in a card. If you knew the person who died and you know the bereaved, you can share a brief memory of or anecdote about the person who died: “I always loved skiing with Katie — I have so many fond memories of our time up in Tahoe.” You can also simply write “I’m thinking of you, and am here for you,” placing the focus on the bereaved. If you didn’t know the person who died but do know the person who is grieving, this support and sentiment is critical to his or her healing. 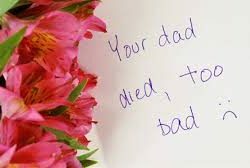 If you knew the person who died but not his or her family, you can send a card to their closest relative, such as the surviving spouse, son or daughter or parents. In your note, you should include how you were connected to the person who died — as a coworker, a friend, a colleague. For example, you might write “Bob and I worked together at ABC agency on the Smith account, and he was always wonderful to work with, no matter how challenging the project. 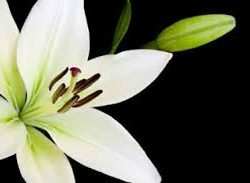 I’ll truly miss him and send you my deepest condolences.” We offer SympathyMessageIdeas.com as an additional resource when looking for just the right words. Grief is individual, nonlinear and varies in duration. Some people may be very outwardly sad, others not. Some may be visibly angry, and others may seem to be unaffected. Someone’s personality, support system, natural coping mechanisms and more will determine how a loss affects them. To learn more about grief, please visit the links to the left. They will lead you to other sections of HealGrief.org where you can learn more to help support a friend. You can also find information there that may help you cope with the loss and grief you may encounter in your own life.